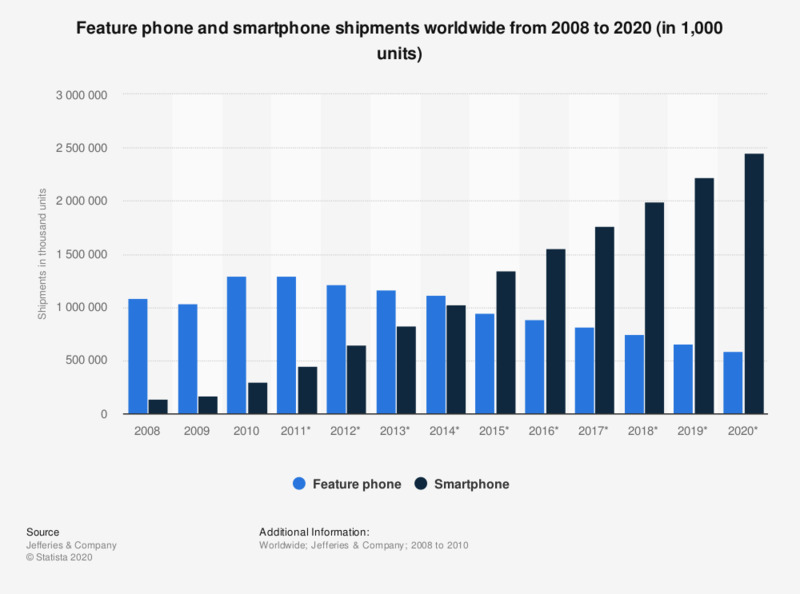 The forecast illustrates the global feature phone and smartphone shipments from 2008 to 2010, with forecasts from 2011 to 2020. In 2010, the feature phone shipments amounted to around 1.3 billion units worldwide. This number was expected to decrease to some 818 thousand as smartphones became more popular. Global revenue from smartphone sales has increased in recent years, reaching an incredible 428.9 billion dollars in 2016.